A vibrant presence in the classical music world, Lawrence Isaacson inspires audiences with exciting, interactive and creative concerts. In seeking not only to entertain but also to educate concertgoers, Mr. Isaacson helps them to discover the classical tradition’s depth, beauty and relevance today. As a conductor, Mr. Isaacson was Conductor and Music Director of Boston-based Symphony Nova for ten years. As the only post-graduate professional training orchestra in New England, their mission was to "transform aspiring orchestral musicians into successful arts professionals". Each year, Symphony Nova's ten fellows attended educational offerings as well as create and perform in numerous concerts. In 2018, Symphony Nova merged with New England Conservatory’s Entrepreneurial Department and became EM Nova Fellows, allowing their mission to continue for many years to come. Other conducting opportunities have included a regular guest conductor spot at the Aspen (CO) Music Festival for almost two decades, and he has also guest conducted the Oregon Symphony (OR), Longwood Symphony (MA), and at the Round Top (TX) and Eastern (NC) Music Festivals. Mr. Isaacson brings to the podium many years of experience as an orchestral musician. 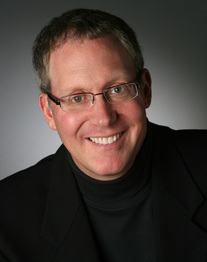 A former trombonist, who began his career at the age of 19 performing as an extra with the Chicago Symphony at Carnegie Hall, he has performed worldwide in concert and on recordings with the Boston Symphony, Boston Pops, Boston Symphony Chamber Players, Detroit Symphony, Chicago Symphony, San Francisco Symphony, San Diego Symphony and the Empire Brass Quintet. Born into a family of musicians and educators, Mr. Isaacson has taught for almost 40 years. His current teaching duties include a faculty position at Boston Conservatory at Berklee, where he is Professor of Music and Head of the Brass Department. He is a former a faculty member of Boston University, MIT, New England Conservatory, Tufts University, University of New Hampshire, Mannes College of Music, McMaster University and Boston University’s Tanglewood Institute. As an educator of younger students, he has conducted Middle to High school students in all-District orchestras and at the Usdan Center for the Performing and Creative Arts on Long Island. Mr. Isaacson has released two albums. Heroic Sounds, performed by the Old South Brass, was released in 2001. The CD includes numerous transcriptions for brass, organ and timpani and four new commissions by Boston composer Kevin Kaska. The second CD, Little Buckaroos, was released in 2005 and brings together the Metropolitan Wind Symphony and two great brass soloists of today: Adam Frey, Euphonium and Scott Hartman, Trombone.